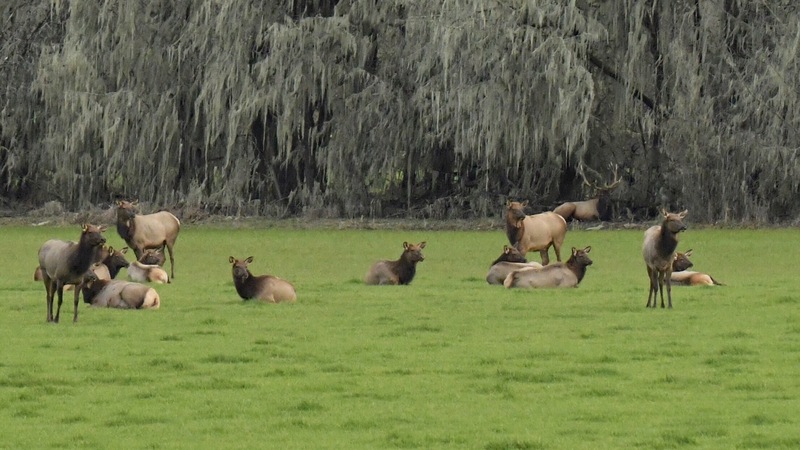 A herd of resident Roosevelt Elk settled in for the evening at the William L. Finley National Wildlife Refuge in Corvallis, Oregon. All were at peace in the verdant calm of expansive pasture land. For a moment, curious eyes gazed toward the edge of an Oregon Ash tree forest where a Red-tailed Hawk noisily beckoned for dinner with determined screeches. In contrast, the elk were content. Dozens of animals satiated as they feasted in silence upon abundant grassy cuisine. 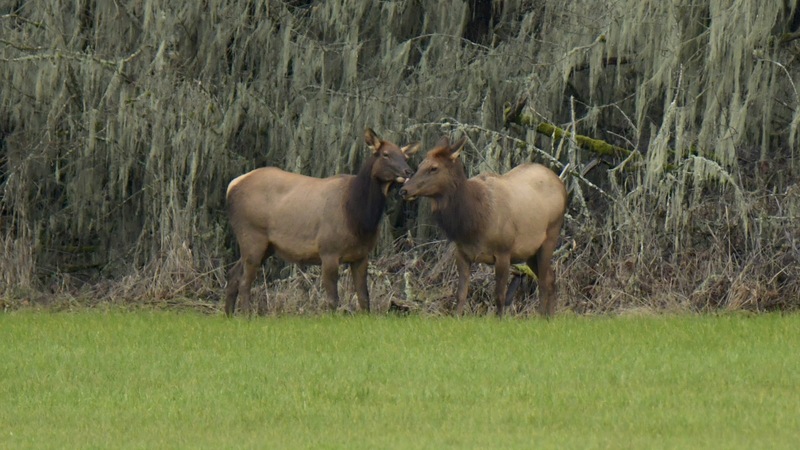 Note- Silence is not always the case for Roosevelt Elk on this National Wildlife Refuge. During a short portion of the year, the refuge is open by special permit for a limited hunting season. In my opinion, shooting with a camera is the only way to take Wildlife home. Elk are very calm, and calming. There was a herd that wandered through Ft. Stevens State Park every now and then when I worked there. They are surprisingly large up close. Nice photos. I wish they were my neighbors. No elk in Hillsboro, however, there are small herds of white-tailed deer in the fields at the edge of town. In fact, I was told about a herd that visits near the Public Works facility that you saw in my “tour” photos. I’m really hoping to capture a photo of them one of these mornings. They’re remarkably calm considering that hunting regularly takes place there. I would have thought they’d run for cover the moment a human appeared on the scene. In general, I don’t think the Elk are triggered in the same way as many herds of wild animals seem to be. Our presence went largely unnoticed. The herd was a fair distance away. I was using my 150-600mm lens!